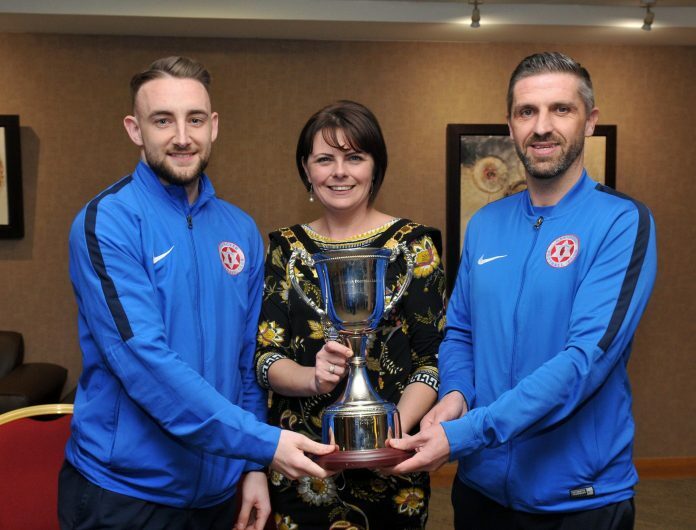 Hanover Football Club Captain James Sergeant and Manager, Steven Hyndes show the Mid Ulster Intermediate League Premier Cup which they won for two years in a row to Lord Mayor, Councillor Julie Flaherty. 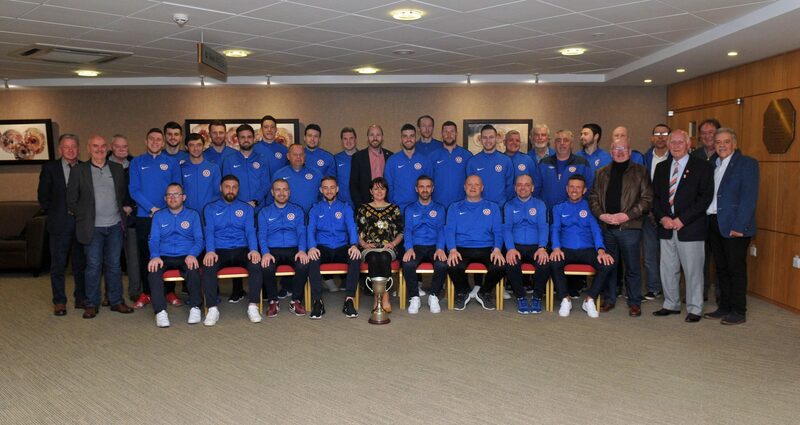 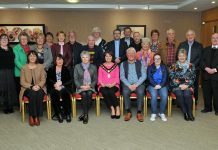 Lord Mayor of Armagh City, Banbridge and Craigavon, Councillor Julie Flaherty with the players and officials from Hanover Football Club who attended the reception in Craigavon Civic Centre, to congratulate the team for winning the Mid Ulster Intermediate League, Premier Cup for two seasons in a row. 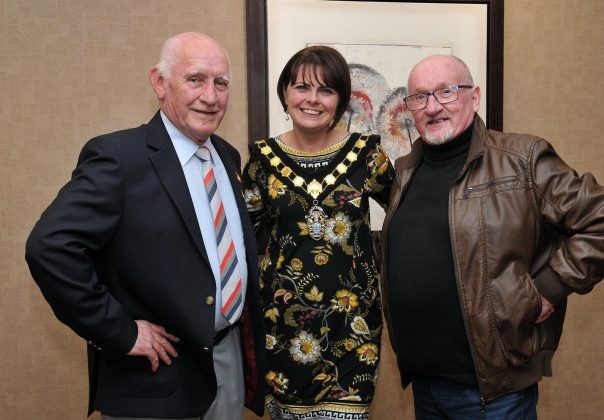 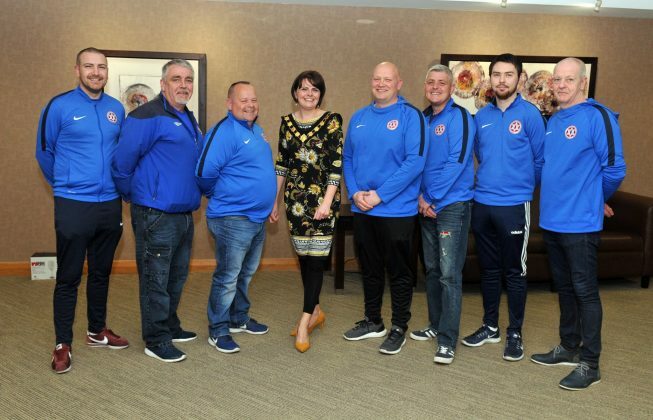 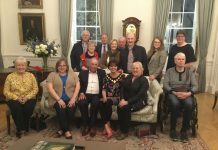 Lord Mayor of Armagh City, Banbridge and Craigavon, Councillor Julie Flaherty with the Hanover Football Club, committee members, Dean Crowe, Ronnie O'Neill, Michael McCallen, Andrew Osborne, David Ritchie, Andrew Corkin and Gordon Green. Lord Mayor of Armagh City, Banbridge and Craigavon, Councillor Julie Flaherty with the Management team from Hanover Fotball Club. They are, Dean Wilson, Jason Woods, Steven Hyndes, Dean Crowe, Glenn McCullough and Stephen Woods. 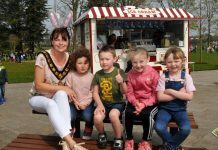 Next articleDon’t miss ‘Cars, Bikes and Coffee’ event for Down’s Syndrome Association NI!